The Muse so needs to try out Neutrogena Mineral Sheers Concealer! Have you see these? Check it! I rarely get excited about drugstore cosmetics but this looks promising to say the least. When I was purchasing my cheese mascara at Walgreens I ran across a display of these but sadly all the lighter shades were sold out. I’m generally curious about the product as it reminds me of Laura Mercier or Bobbi Brown’s dual concealers which has the creamy concealer on top and a silky white setting powder on the bottom. I’m not sure but that Flickr photo says $12.79 USD and don’t quote me but I could have sworn it was $8.99 USD around these parts. Honestly, it seems promising to say the least and hopefully I can locate it as I’m highly curious if it’s worth the splurge! You know me, concealer gets me happy! Haven’t tried this but I really like Neutrogena 3-in-1 Concealer for Eyes. It’s a concealer/eye cream that has SPF 20. The coverage is light to medium depending on how much you apply. I like to dab it on with a concealer brush and then set with Physicians Formula compact powder. I’ve tried both the Three in 1 and the mineral sheers, and I love the Three in one! It is in a tube, but I have been using it for years and its awesome (love the SPF)! Unfortunately the mineral sheers didn’t work out as well, one shade was too light, the other was too yellow, and it sometimes (not always) looked cakey 🙁 but if you worked hard enough to blend it, or had better brushes than I do, maybe it would work better! 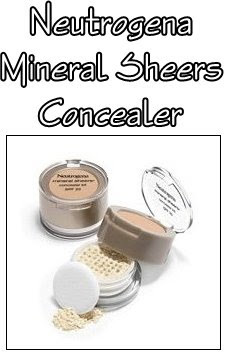 I tried the neutrogena mineral sheers concealer because it looked similar to the Laura Mercier concealer pot I love! I would use this product religiously but for 35.00 a pot it got a bit expensive. 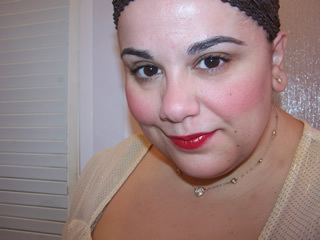 I tried the neutrogena in buff because it was a similar color and I found it work just as well as Laura Mercier. I still prefer Mercier because I feel like it matched my skin tone perfectly but I can’t complain about Neutrogena and plus when you can find it on sale it saves me about 25.00! hey kristen that’s great news 😀 so glad to hear it! for the longest time I’ve had it in my makeup stash but I never thought it was a must-have. BUT! for the longest time also, I was only using the creamy concealer only (and yes, it’s very very creamy) until recently, I started using the setting powder with mac 224 brush to conceal a couple acne marks and brighten my under eye area…. and IT DID LAST pretty much all day at work. so if you don’t plan on using the setting powder than it’s an alright product… but if you use the the powder to set it then it’s WONDERFUL!